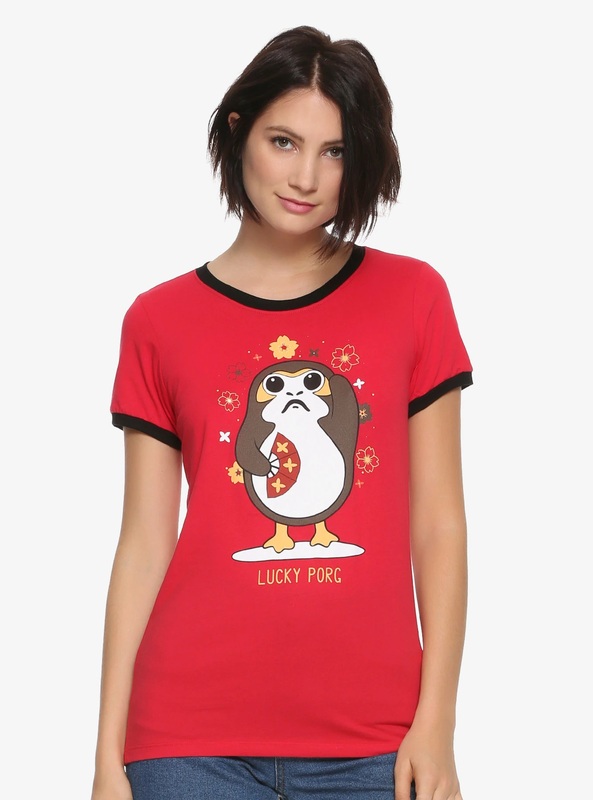 This women’s Star Wars Lucky Porg t-shirt is available exclusively at Box Lunch! 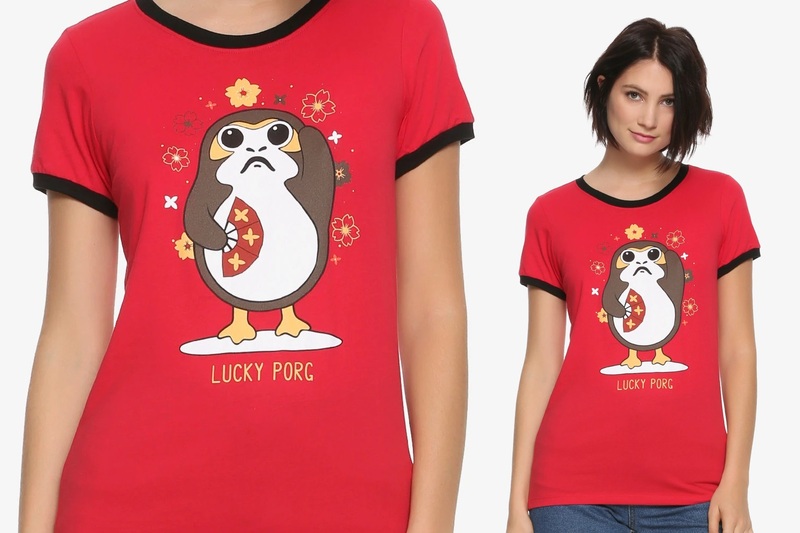 The red ringer-style t-shirt features black contrast binding at the sleeves and neckline, and a front print of a ‘Lucky Porg’ surrounded by flowers. The luckiest creatures in all of the Star Wars universe – just ask Chewbacca. This red and black ringer tee features a lucky porg. Available in sizes XS to 2X, the t-shirt is priced at US$28.90 each – Box Lunch can ship internationally.